Welcome to Pennies into Pearls! Take a look around and remember we are just getting started around here. I am beyond excited to share with you what I know about living cheap and chic but also learning all of your tips. What you need to know is that this entire blog is dedicated to saving you money but with nothing lacking when it comes to flair. Always staying pretty but only spending pennies. I like to say that I live “frugal chic”. In pretty much everything I do, everyday, I try to figure out how I can do it cheaper. Pennies into Pearls is a place where we can inspire each other to keep living frugal without letting our individual style suffer. My house is not super fancy, I have a lot of projects in my future and I am really eager to share the journey. Make sure to follow Pennies into Pearls on Facebook, Instagram, Pinterest, Twitter and sign up for email updates for motivation and inspiration on living pretty for just pennies. Money saving tips – Sale sightings, coupon advice, budgeting tips. Lets save lots of money and learn to live within our means. 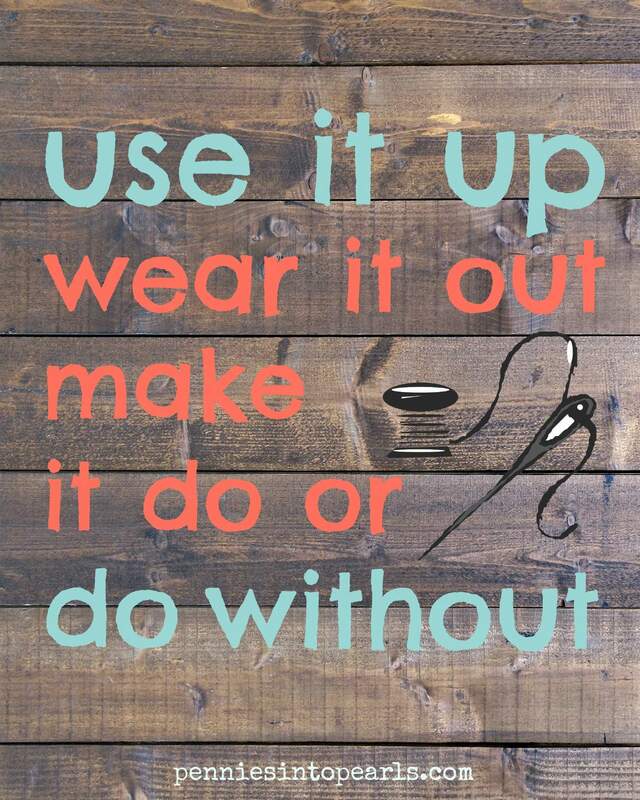 My favorite quote about living frugal is “Use it up, wear it out, make it do, or do without.” Click here to download this free 8”x10” printable to be inspired to live frugal chic. You can also simply right click the image below, save, then upload into an editing program, you can now resize the image to what you need. So take a peak at a few ideas I have up and I am excited to hear from you!